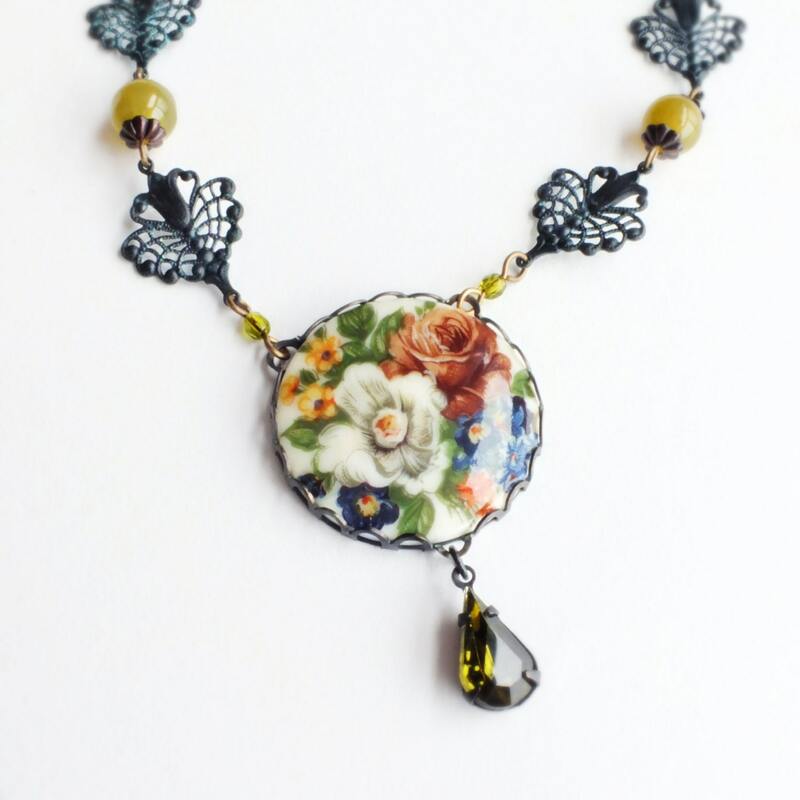 Handmade floral pendant necklace with large vintage beaded rose cameo. 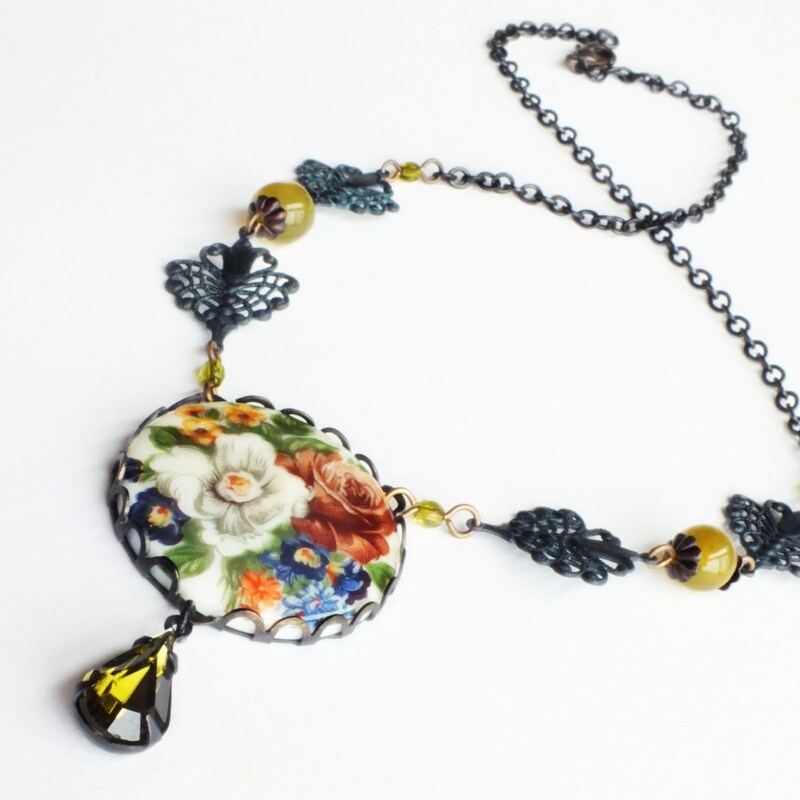 Pendant is 1 1/4 inches - 3 cm across. 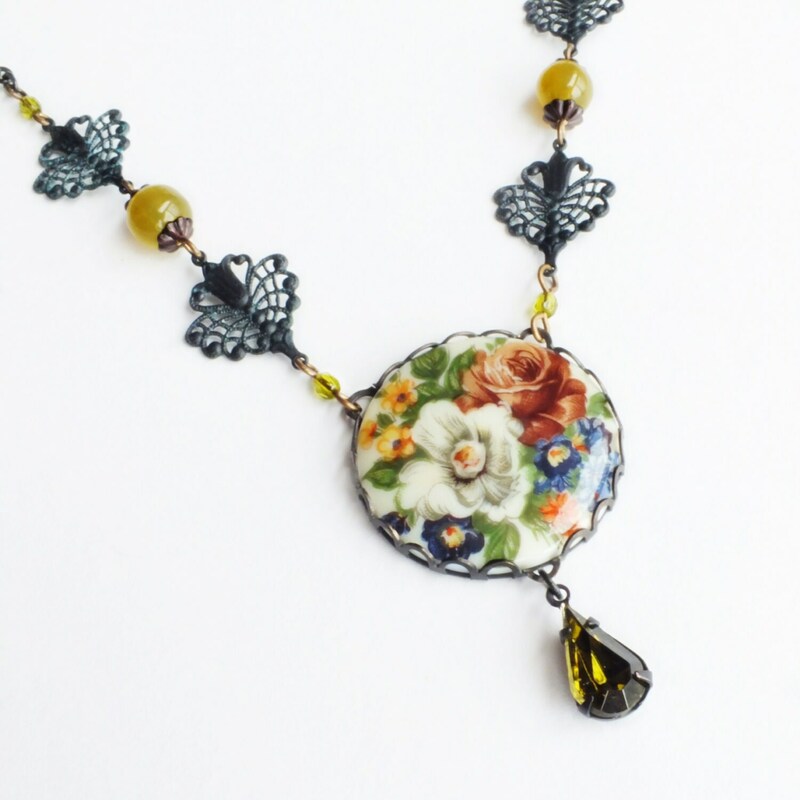 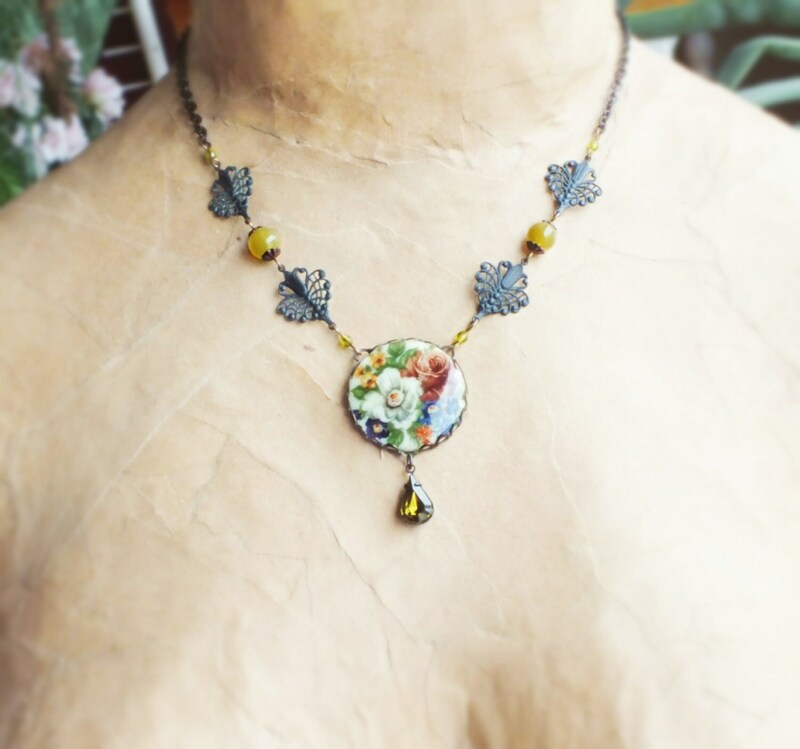 Victorian necklace made with a *gorgeous* lush floral cameo I set in dark antiqued brass and adorned with a vintage olivine rhinestone drop. 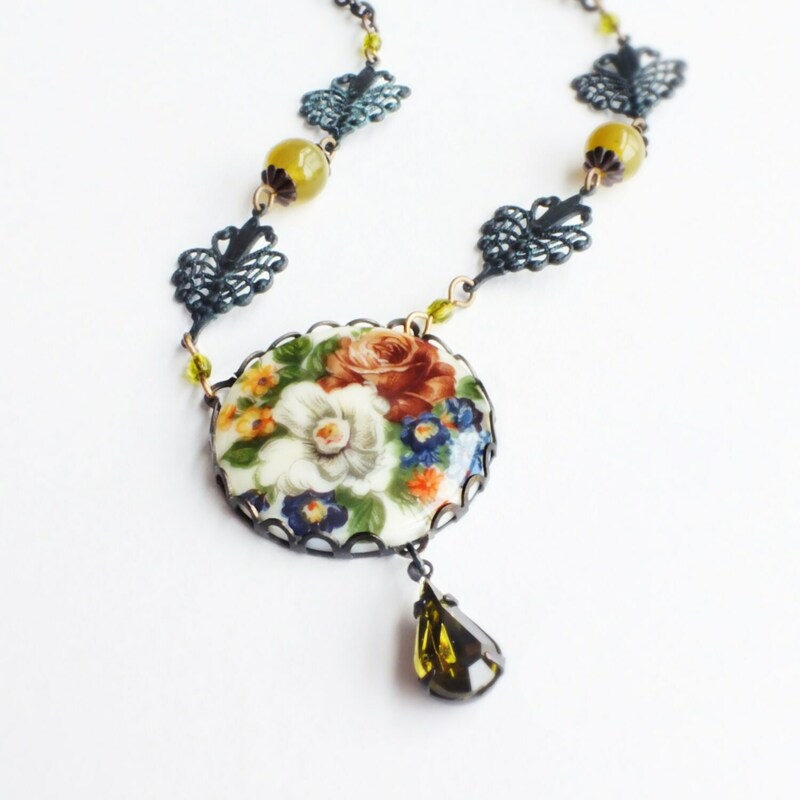 I hung the pendant from a chain of dark weathered brass filigree connectors and vintage olive green glass beads.